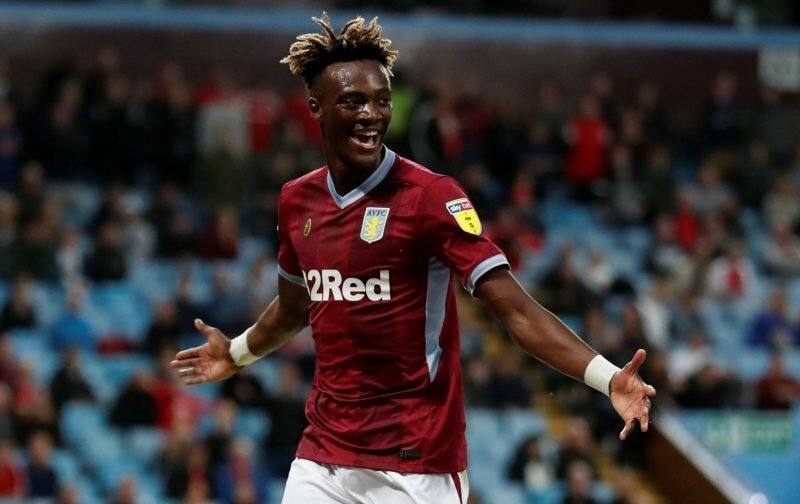 Tammy Abraham is a man who just keeps on giving when it comes to the press this January transfer window, but it’s now been claimed that the on loan Chelsea man has rejected Wolverhampton Wanderers in favour of staying at Aston Villa. With claim and counterclaim in the media over the last week and a bit about recalls, regulations and his future at B6, the latest twist came from Sky Sports a short time ago this afternoon. Much like most of the speculation so far, there’s not a single quote and it leans heavily on ‘unnamed sources’ but with head coach Dean Smith saying he expected Abraham back in training on Monday, the 21-year-old was apparently missing as he held talks with his parent club about his future. Chelsea are said to have given him the choice where he would spend the rest of the season, and in choosing us, he was said to be back at Bodymoor Heath this morning for training. I doubt this will be the end to the speculation, but if Abraham has made it clear he wants to stay, that can only be a good thing for us and it would also prove the lad has his head screwed on right and that this speculation hasn’t unsettled him in any way. I think this is the right decision for him. After watching Wolves beat Liverpool last night you had to wonder why they want him and secondly he would spend most of the rest of the season on the bench. At least with Villa as long as he is fit he will be in the team and getting invaluable experience. Should we not get promoted he would return to Chelsea but if we do he could then play premiership football with us. We shouldn’t count our chickens until the January window closes because if a premiership team make Chelsea an offer he would probably go. Frankly we must understand the lad has ambition to play at the top level. I just hope he doesn’t do a ‘Delph’. At the moment Kodjia and Hogan look well short of Abraham in terms of effectiveness and any decent form of replacement would prove costly. Let the next three weeks pass quietly on this one – in between the flying pigs….